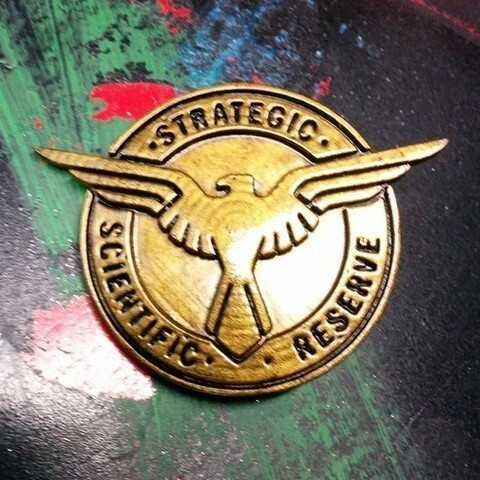 The Strategic Scientic Reserve was created in 1940 to fight the Nazi war machine and HYDRA. 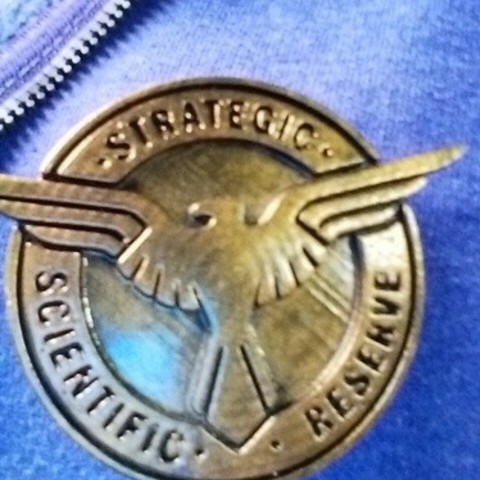 Created by executive order from President Roosevelt himself, the S.S.R was made up of the finest minds the allies had to offer. Responsible for many novel and important Allied scientific advances their greatest achievement is arguably the super soldier project that created Captain America. Eventually the organization was absorbed by SHIELD. -=Design=- This pin was designed in blender off the badge worn in Agent Carter, and seen in a few other Marvel movies and comics set in the conflict of WWII. I've cut a small round pin backing into the badge so it can be easily worn. -=Finishing=- I printed my copy in ABS and then used hot acetone to smooth the badge. 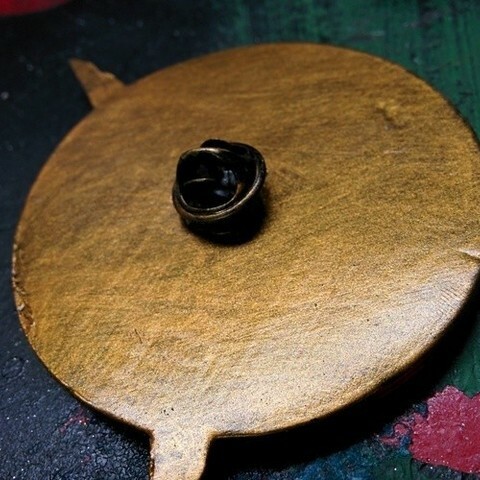 I then primed the pin black and painted it gold with acrylic paint. I used a thick wash of brown paint to fill in the recesses, and lightly dry brushed another layer of gold paint over the top. Once this was done the badge was coated with a high gloss sealer, and a small round pin back from a local craft store was attached to the rear using super glue. Print in any material. No supports are required. Use roughly 20% fill for a sturdy finished product.